If you're a fan of video game books then chances are you'll already be familiar with the name Third Editions. 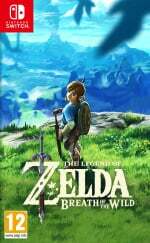 This French publisher has produced some incredible books in the past and recently translated some of them into English - including an excellent analysis of the Zelda series. The company is now seeking crowdfunding to translate three more books in English, with a target goal of 60,000 Euros (just over £53,000). 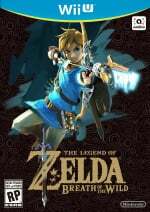 These books are Zelda: The History of a Legendary Saga - Volume 2: Breath of the Wild, Dark Souls: Beyond the Grave - Volume 2: Bloodborne and Dark Souls III and The Legend of Final Fantasy VIII. These three books will be available in both hardback standard limited-edition "Collector" versions. We've sampled the work of Third Editions in the past and have come away very impressed indeed; are you also a fan, and will you be supporting the publisher with this Kickstarter campaign? Let us know by leafing through the comments section below. Not a fan yet but wouldn't mind being one. I’d love to have a Zelda novel. I’m not really into magna’s. I’d be all about an actual book or even book series for it though. That being said, I do plan on getting the Arms manga. Not like there is hardly anything else Arms related to get. They are very expensive and they don't offer digital editions. Sounds cool. Is there anywhere you can preview what these books actually look like on the inside? A preliminary Google search didn't yield very many results. @Reignmaker I own the collectors edition for the MGS book they released from their previous kickstarter. By French law, they are allowed to translate and sell these books, but that is all. Don't expect pictures included inside though. Their translation for the MGS Book was top notch, and it didn't feel like it was missing anything. I have the zbioshock and Zelda books from the first round. 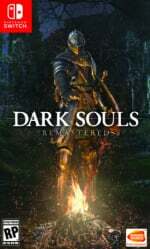 Highly recommend them, some of the best game texts I’ve ever read.